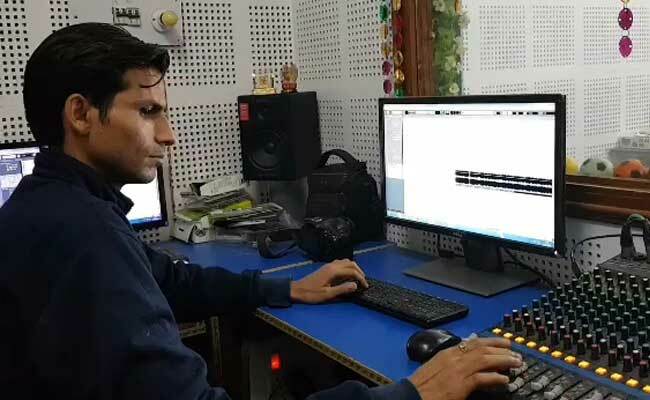 Srinagar: A radio station run by Kashmiri Pandits from Jammu is enabling the community to tune into what's happening to their people and helping them keep in touch, 28 years after they migrated due to violence. Radio Sharda, which has been recognised as India's best community radio service in a government survey, serves as a guidepost for Kashmiri Pandits who are looking to reconnect with their roots and preserve their traditions, language and culture. "When we migrated from Kashmir, we got exposed to a different atmosphere. We have survived despite all the odds and risen again. Radio Sharda is the backbone of our community," says Neelam Kaul, a Kashmiri Pandit radio artiste. The community radio airs content in Kashmiri language and is produced and presented by members of a Kashmiri Pandit settlement in Jammu. "Our effort is that as much as possible we reach out to the community and spread out language and culture, so that Kashmiri language is revived," says Sarita, another radio artiste. "We want our children to listen and speak their mother tongue," she says. The community radio station was launched six years ago; it is available on the Internet as well. A survey by the Information and Broadcasting Ministry has ranked Radio Sharda the No. 1 community radio station in India. The radio station was the brainchild of Ramesh Hangloo, a Kashmiri Pandit who migrated from south Kashmir to Jammu in 1989. He saw that the success of a Pakistan-Occupied Kashmir or PoK immigrant, who set up a radio station in London for the Mirpuri community of PoK, could be replicated for Kashmiri Pandits. Kashmiri Muslims settled in countries across the world are major listeners of Radio Sharda, with Saudi Arabia topping the list. "Radio Sharda is not just meant for one single person or community; it is for all those who speak Kashmiri, not just for those living in Jammu, but across the world, including those who live in Kashmir," says Mr Hangloo.